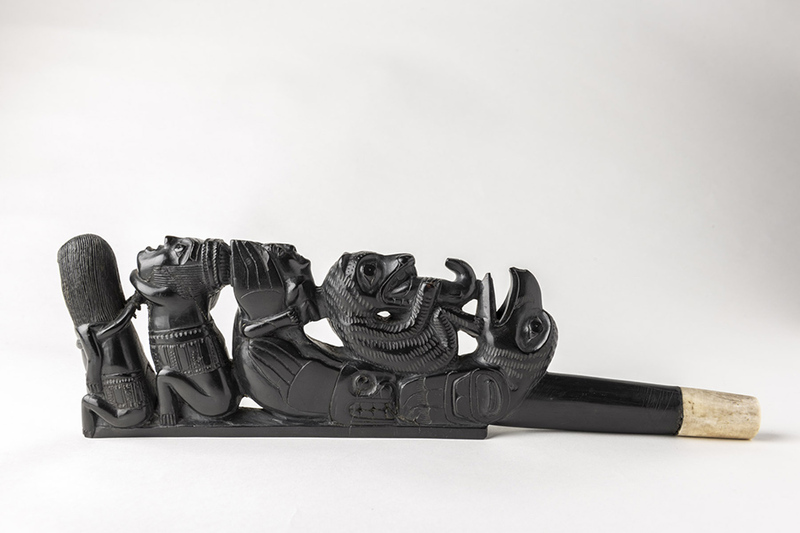 Learn about the Lummi People, the original inhabitants of Washington’s northernmost coast and southern British Columbia, and their belief that killer whales are kin. 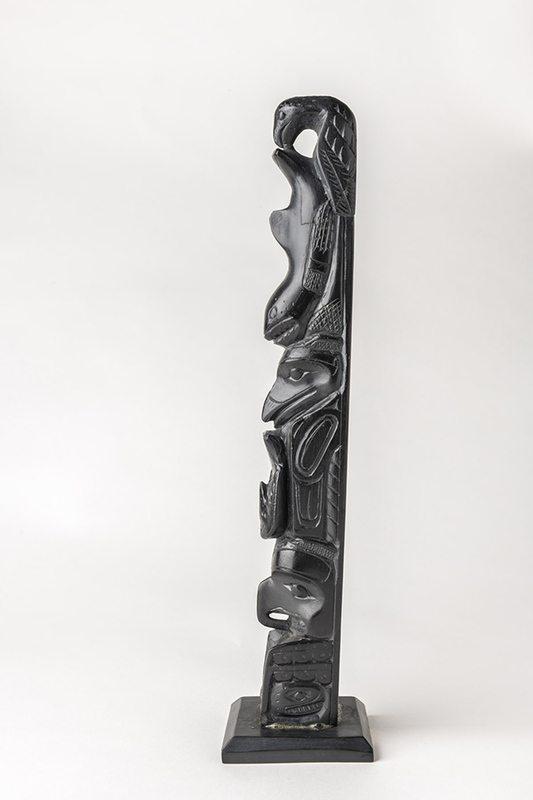 The exhibit features a new 16-foot “Whale Rider” totem created by the House of Tears Carvers of the Lummi Nation, alongside five historical totem poles, two pipes and five platters from the Florida Museum collections. 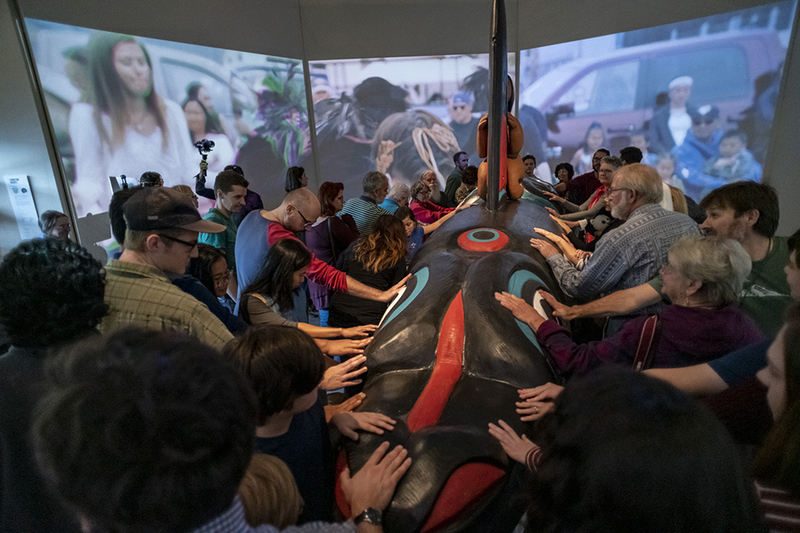 A 90-foot-wide video showing whales in their natural habitats surrounds visitors entering the exhibit. 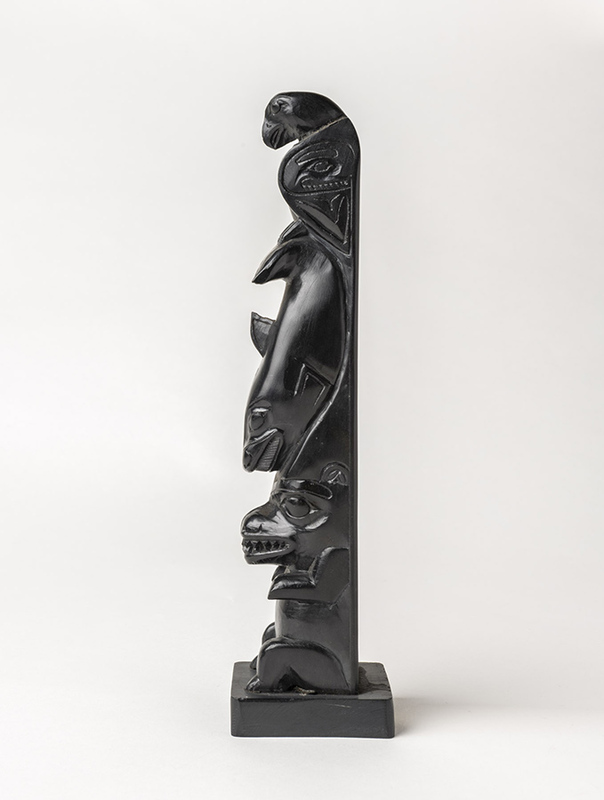 Open through May 5, 2019. 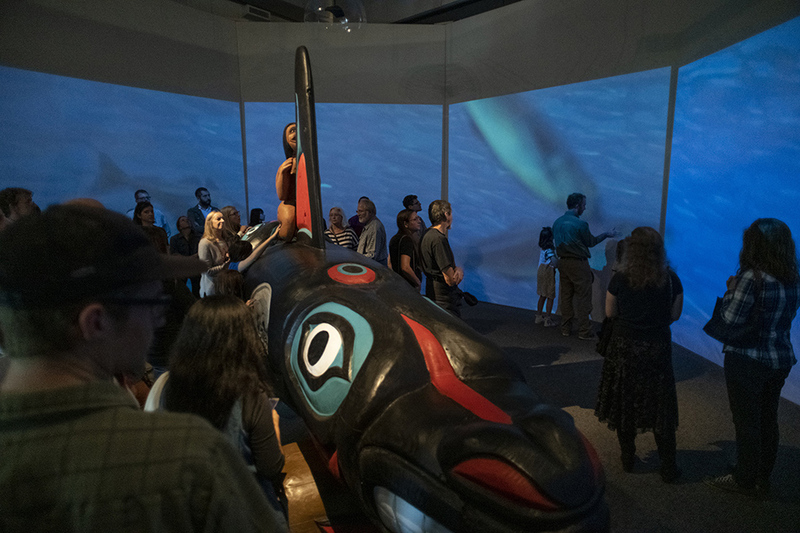 A more than 4,000-pound, hand-carved totem of a human riding a killer whale draws attention to the threats these animals face, while artifacts showcase their historical role in Native American culture. 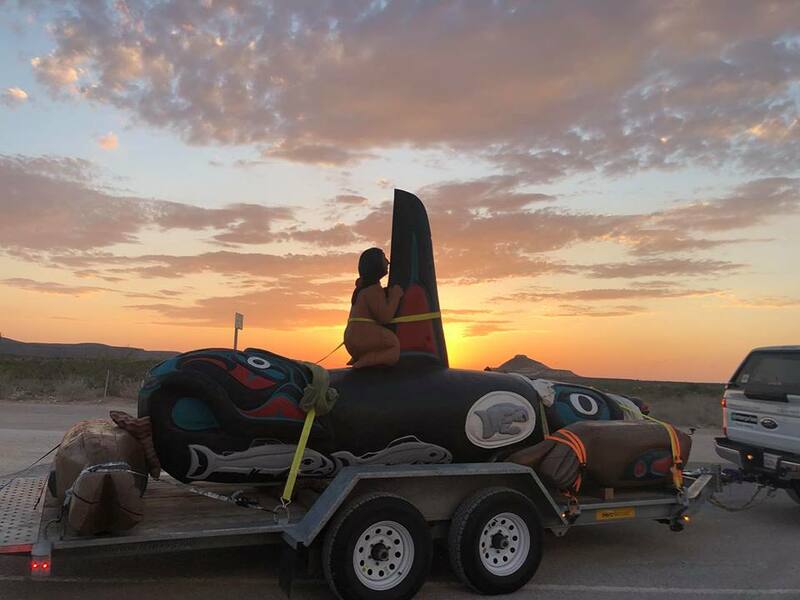 For the Lummi and many other Salish tribes of the Northwest, families are sacred and killer whales are considered kin. A 90-foot video of killer whales illustrates these creatures’ charisma and grace. 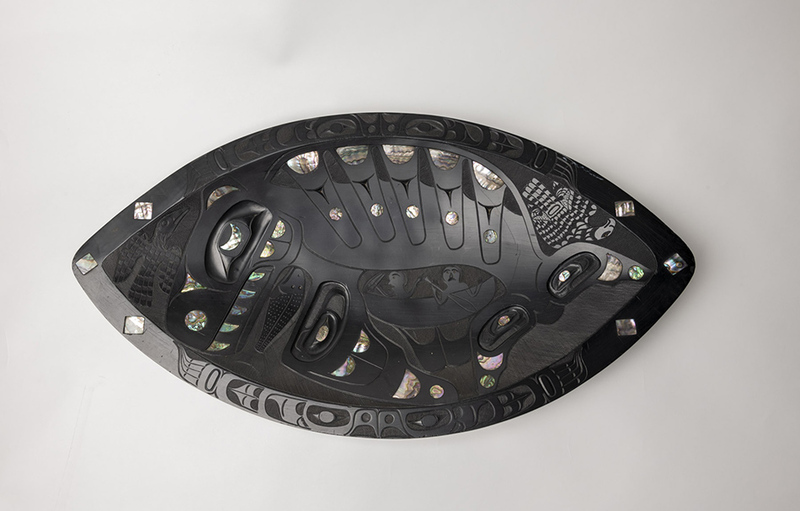 The video also showcases interviews with indigenous elders who speak about the human influence on water. 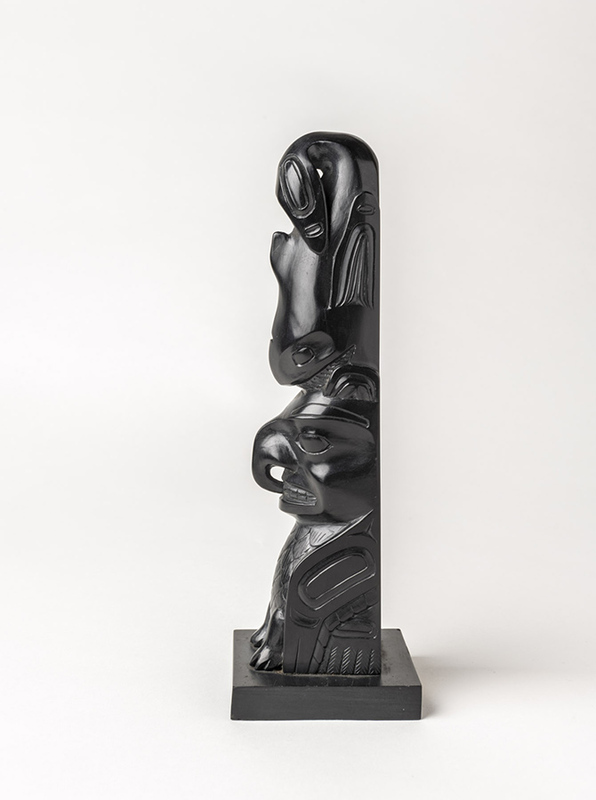 Five smaller totem poles displaying bears, killer whales, eagles and hawks. 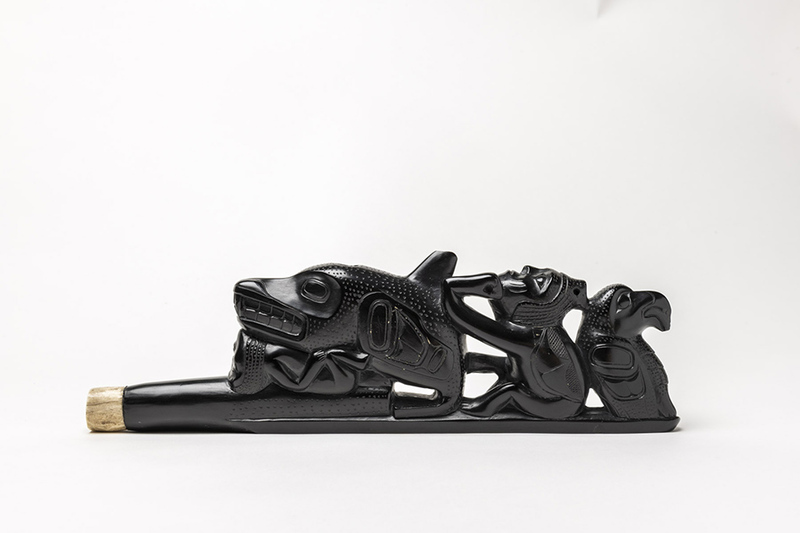 Two carved pipes, depicting killer whales, eagles, bears and humans. 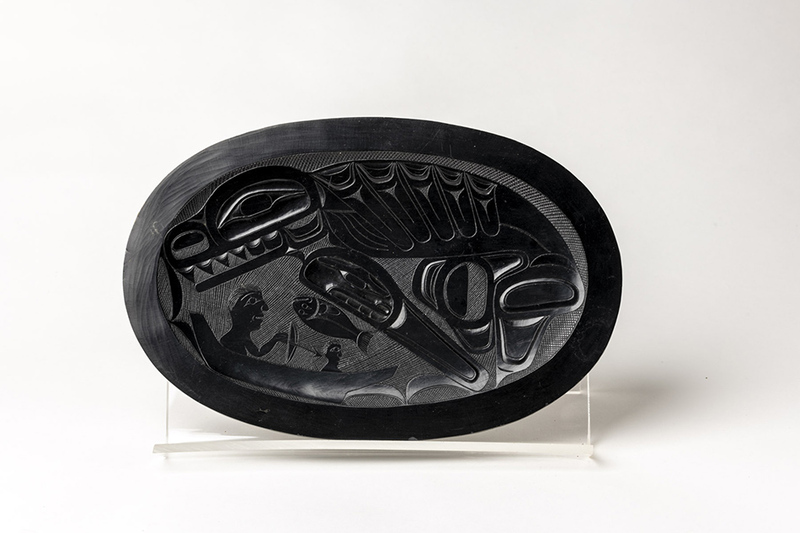 Five argillite carved platters with images of killer whales, humans, fish and ravens. 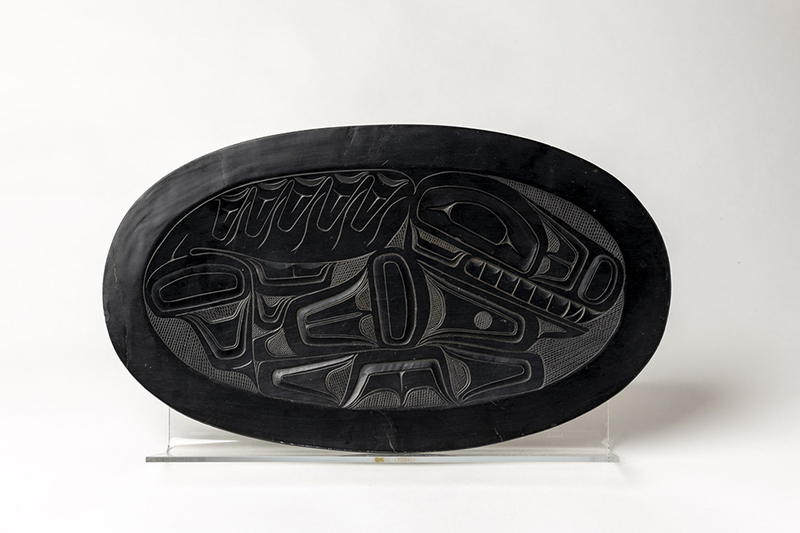 The Lummi People, or Lhaq’temish, are the original native peoples of Washington’s northernmost coast and southern British Columbia. Killer whales, or orcas, are the top of their food chain. No animals, apart from humans, hunt orcas. 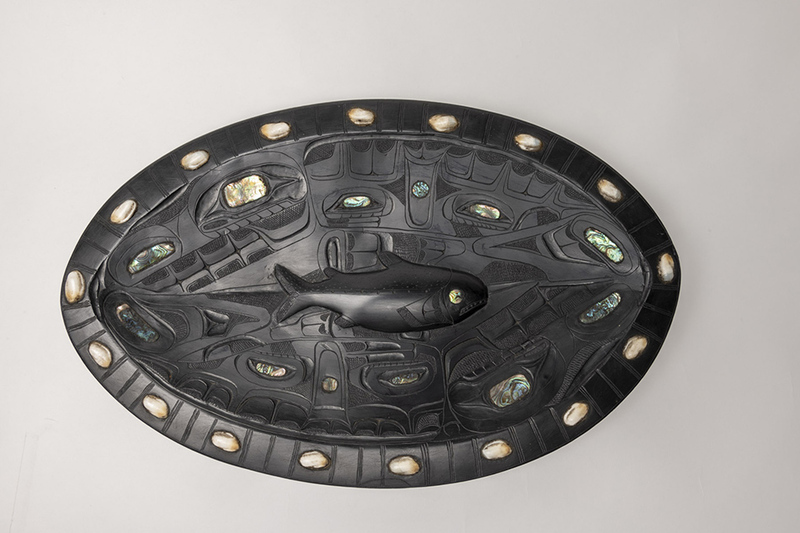 Orcas use echolocation to communicate and hunt. 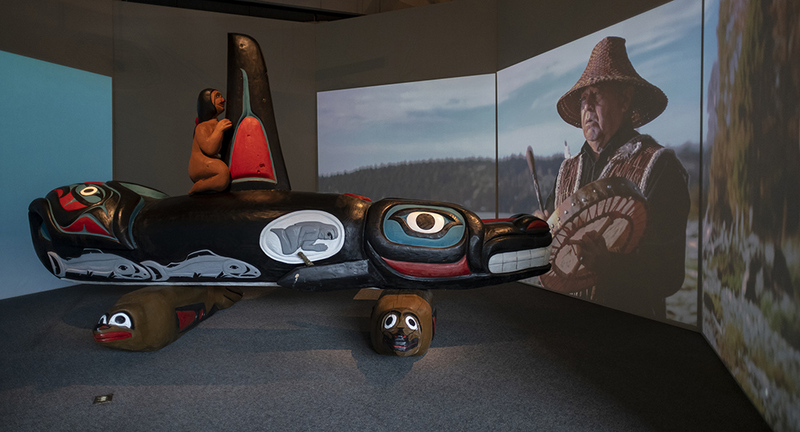 The exhibition was created by the House of Tears Carvers of the Lummi Nation and The Natural History Museum, a traveling pop-up museum that partners with scientists, major public museums, educators, artists and community groups.